The official tribute to Queen put on a stellar show at Huntington’s Paramount theater last night. 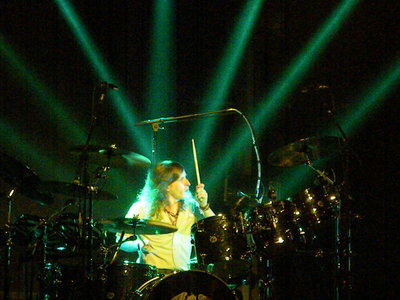 It is clear to see why original drummer Roger Taylor would produce and endorse the Queen Extravaganza as the official tribute to Queen. Last night’s show at the Paramount was exactly what the name promised—a spirited, expertly executed, extravagant homage to one of the 20th century’s biggest bands. The show kicked off with drummer Tyler Warren nailing the vocals on a high octane rendition of “We Will Rock You” as bassist François-Olivier Doyon and guitarist Brian Gresh ran about the stage, livening up the crowd with an energy that showed off the band’s harder side. Keyboardist Brandon Ethridge and singer Marc Martel joined the band next, rounding out the 5-piece stage presence often used by Queen themselves when touring with Spike Edney as their live keyboardist. Martel’s presence walked an interesting line, employing many of the same mannerisms of Freddie Mercury while providing enough of his own twist to offer the show something more than simple mimicry. As Jennifer Espinoza entered the stage it was made quite clear this cooperative of Queen enthusiasts were dead-set on living up their status as the Queen tribute to see not just for their ability to perform the band’s songs accurately, but for breathing a respectful amount of freshness into the concert. Espinoza’s voice offered a wonderful counterpoint to Martel’s for the songs on which she sang lead, and a perfect complement on others—such as the classic Queen-David Bowie duet, “Under Pressure”—where vocal duties were split more evenly. 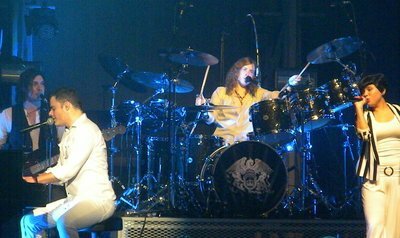 Between the two full-time singers, Warren’s vocal contributions from behind the drum kit, and some help from the rest of the band on backup, the Queen Extravaganza’s voices harmonized as well as their performances congealed before the audience. Though it is sadly impossible to ever witness Freddie Mercury on stage again, this tribute is certainly one worth seeing for any fan wishing to catch a glimpse of the timeless spectacle that is Queen. Hopefully the opportunity to do so will return to The Paramount and Long Island before long. If you want to stay in the loop about the hottest upcoming shows on Long Island, check out the Music & Concerts Section of our Events Calendar! 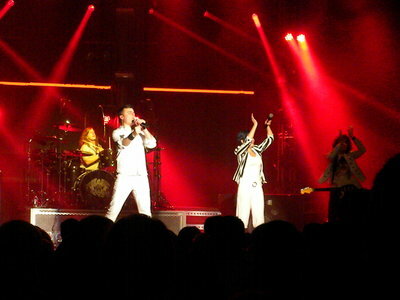 If you want to see more of the Queen Extravaganza, check out our photo gallery from the concert. Subject: LongIsland.com - Your Name sent you Article details of "The Queen Extravaganza, Live on Long Island"